People who come to our visitors center are always wondering what there is to do in Utah Valley! Our favorite thing to recommend is a sight-seeing tour to the wonderful natural beauties around the valley! 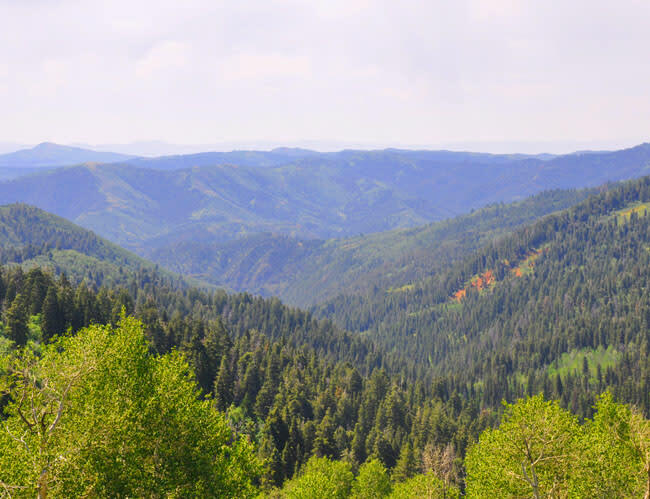 Our valley has waterfalls and lakes and scenic drives, each with the backdrop of the ginormous Wasatch Mountains! There are also unique treasures, like caves and hot springs, so check out this list to discover the 7 natural wonders of Utah Valley! What: Bridal Veil Falls is a 607-ft waterfall that will take your breath away! There is a short, paved trail to the waterfall, which is kid- and pet-friendly. The waterfall leads to the Provo River, but before it runs all the way to it, there are pools of water you can play in. Where: Bridal Veil Falls is located off of Highway 189, in Provo Canyon. 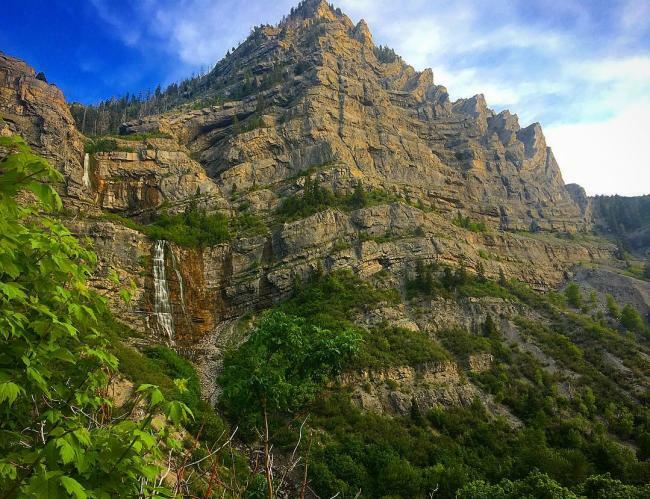 If coming from Provo or Orem, head northeast along Provo Canyon and follow signs for Bridal Veil Falls on the right. When: The parking lot for Bridal Veil Falls is open year round, but may have limited access during winter snow. However, this is a beautiful time to visit when the waterfall freezes over ice climbers can be spotted climbing it. What: Timpanogos Cave is a cave system filled with formations you can&apos;t find in any other type of landform. Go deep underground to discover stalactites and stalagmites, which are fancy words for rocks and walls that look like they are dripping. To reach the caves there is a steep hike and the inside of the caves is chilly, so plan accordingly. Where: Timpanogos Cave is along the Alpine Loop. Enter the loop from the north side in Alpine City and follow signs for the Timpanogos Cave visitor center. When: Timpanogos Cave National Monument is open seasonally, usually from late May to October. There is an $8 fee for doing the hike and entering the cave. What: The Nebo Loop is a national scenic byway that has a variety of beautiful sights. Along the main road you will see forests to red rock landscapes to massive mountains. Stop at different trailheads to hike the largest peak in Utah Valley, Mt. 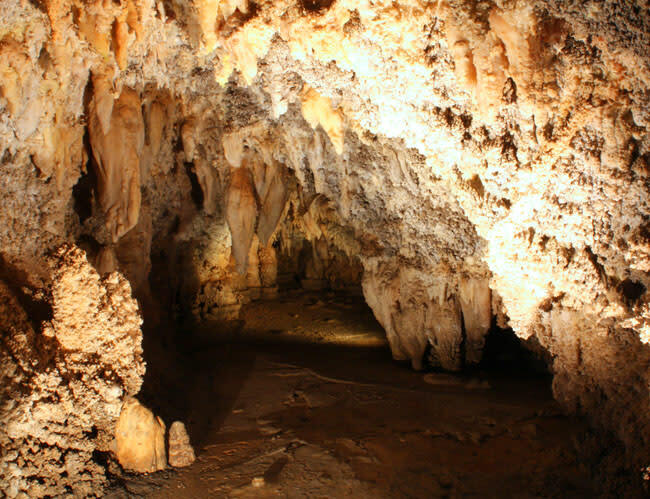 Nebo, discover a grotto with a mini waterfall, and play in the Payson Lakes. Where: Enter Nebo Loop by traveling south on 600 E in Payson City. It will turn into Nebo Loop Road, which ends at a fork in the road that intersects with State Route 132 in Nephi City. The entire length of loop is 38 miles. When: The loop is closed seasonally during the winter. It is usually open from late May until October. Due to the fires from last year, the Nebo Loop may be receiving upcoming maintenance. Call the Spanish Fork Ranger District at 801-798-3571 for updates on access to the loop. What: The Alpine Loop is a scenic backway that offers a bounty of views from high up in the mountains. 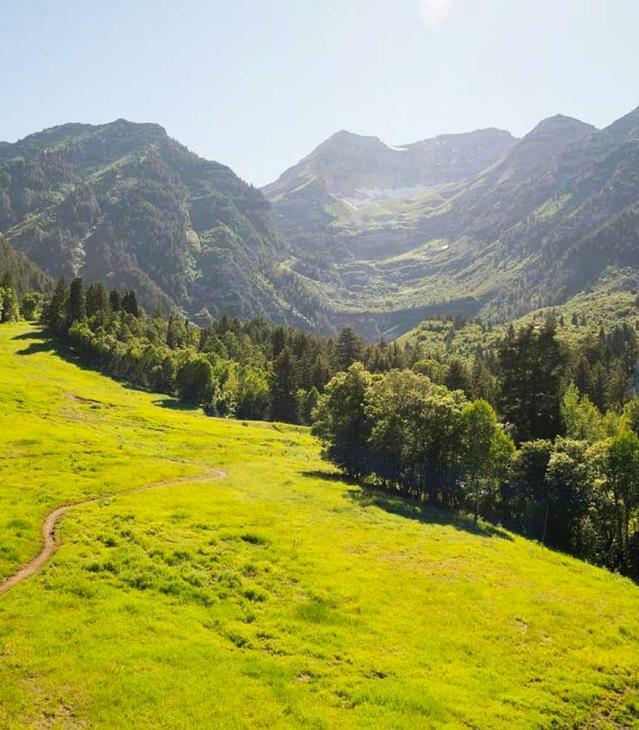 It crosses the backside of Mount Timpanogos, the 2nd highest peak in Utah Valley, and offers dozens of trailheads along the way. The Alpine Loop also contains Tibble Fork Reservoir, Cascade Springs, and Sundance Mountain Resort. 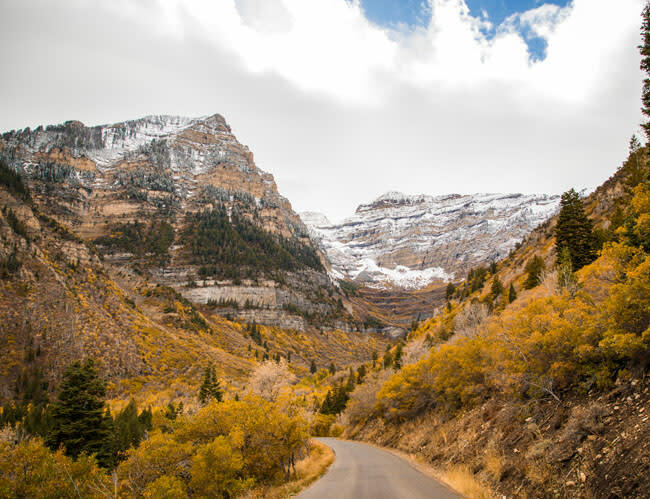 Where: Enter the Alpine Loop by traveling east on Timpanogos Highway and keep going until you reach the mountains. Or, come from Provo/Orem on Highway 189 and turn left onto State Route 92. To enter the loop, there is a fee of $6 for a 3-day pass. The entire length of the loop is about 20 miles. When: The loop is closed seasonally during the winter. It is usually open from late May until October. 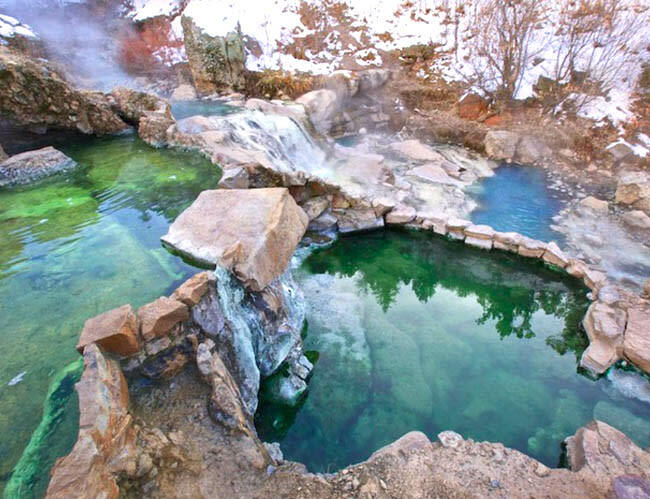 What: Fifth Water Hot Springs is a natural hot spring in Utah Valley that is nestled in the forest. It is a beautiful area with hot water pools and streams that are perfect to relax and play in. There is a moderate hike to reach the hot springs, which makes them secluded. The springs are a local favorite! Where: From Spanish Fork, head southeast on Route US 6. After you enter Spanish Fork Canyon, turn left on Diamond Fork Road and keep driving until you get to the Fifth Water Trailhead. When: The hot springs can be accessed all year long. However, at a certain point, the road closes in the winter, which will make the hike to the hot springs longer. Also, be sure to dress for the weather and for the hike, even if planning on going into the hot springs. 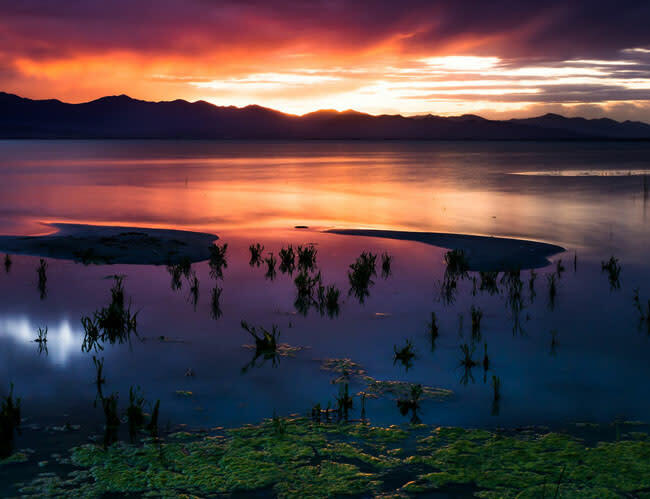 What: Utah Lake is Utah&apos;s largest freshwater lake. It covers roughly 150 square miles and is right in the center in Utah Valley. It is a vast lake that can be seen from all over the valley. It is a great place for sight-seeing, water activities, and nature walks. Where: One of the most popular public access points is Utah Lake State Park. From Center Street in Provo, go west until you reach the park. When: Utah Lake is beautiful all year (even in the winter when it freezes and the shore is lined with chunks of ice sheets). Activities that can be done here include fishing, swimming, recreational rentals, and camping. What: Provo River is known for its world-class fly-fishing! It is a lovely river that runs from Provo Canyon, through Provo City, and flows into Utah Lake. It is a popular river for rafting, tubing, and kayaking. Follow the Provo River Parkway along the river to enjoy it on bike or on foot. Where: Provo River ends in Provo at Utah Lake, but it starts far up in the mountains and crosses through Heber Valley, as well. In Utah Valley, it can be reached at the Bridal Veil Falls parking lot, Utah Lake State Park, and Vivian Park in Provo Canyon, among many other access points. 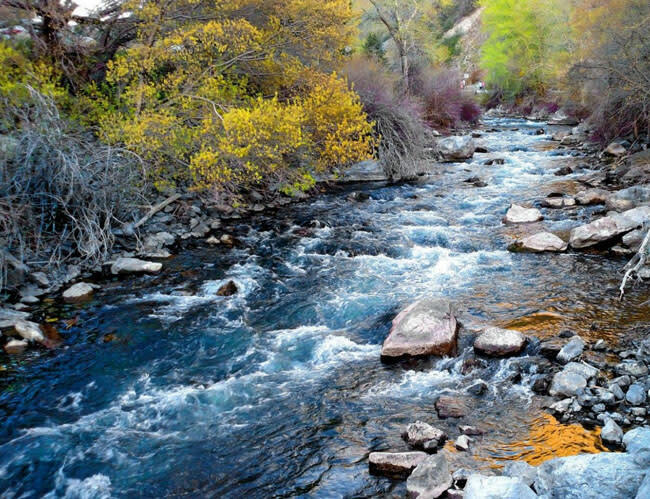 When: The best time to visit Provo River varies, depending on what you want to do. For water activities, June through August is best. On your next quick visit to or through Utah Valley, stop at one of these natural wonders and see the incredible sights of Utah Valley!